Posted on Tuesday, May 29th, 2018 at 1:27 pm. “Inspires frequent compliments from strangers” is not a feature I am used to in hiking footwear. Yet the Vasque Clarion ’88 is a retro-stylish hiking boot that manages just that – all without compromising on the core features that categorize it as serious trail kit. With an upper of waterproof suede and a playful orange, abrasion-resistant mesh, the Clarion ’88 says “fun” right out of the box. The trail-worthy features of this boot reveal themselves on a closer look, but that first impression is unmistakable. Vasque based the new Clarion ‘88 from a style launched 30 years ago, and it’s a refreshingly lighthearted look amid more serious footwear silhouettes. On to those features –beefy eyelets guide the laces on this boot, and Vasque includes two color options for laces in the box. A dual-density EVA midsole cushions the ride, with a Vibram “Winkler” outsole providing effective and long-wearing traction. An additional plastic heel cup helps stabilize the foot, a welcome feature for backpacking uneven terrain. The shoe features a foam insole and wicking lining that Vasque says is well-suited for warmer and drier climates, and clocks in at an advertised two pounds, 12 ounces. Slapping on these boots for an inaugural stroll around town, I was struck with how naturally they went with a pair of jeans. Portland, Oregon is no stranger to hiking boots as daily wear, but the styling of the Clarion was more akin to my preferred old-school sneaker aesthetic. There’s something about the look that feels very approachable, even a tad goofy, in the way of classic and coveted backpacking gear. Yet this is a not a vintage shoe, and Vasque brings decades of bootmaking experience to the table for the Clarion. 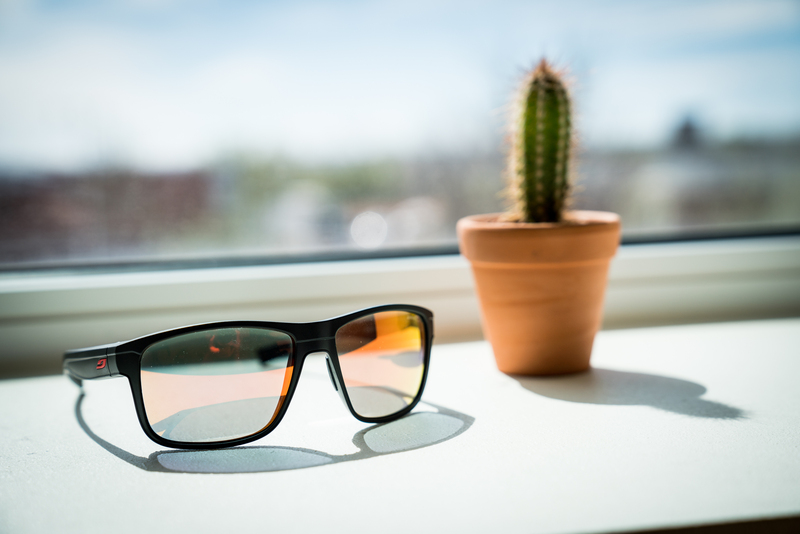 They just…fit…exactly right, with no hot spots or high-friction areas. This is really important out on the trail, where my feet felt well cared-for after several day hikes and one overnight backpacking trip. On some unseasonably hot days, the wicking fabric kept the inside nice and dry. Everything about these boots feels long-wearing, and I expect they would survive many years of service. There’s something refreshing about this boot that is hard to exactly define. The styling is bold, yet very familiar. The features are solid, yet not headline-grabbing. It’s a basic​ design, yet it feels impossible to improve on. Posted on Monday, April 16th, 2018 at 10:45 am. 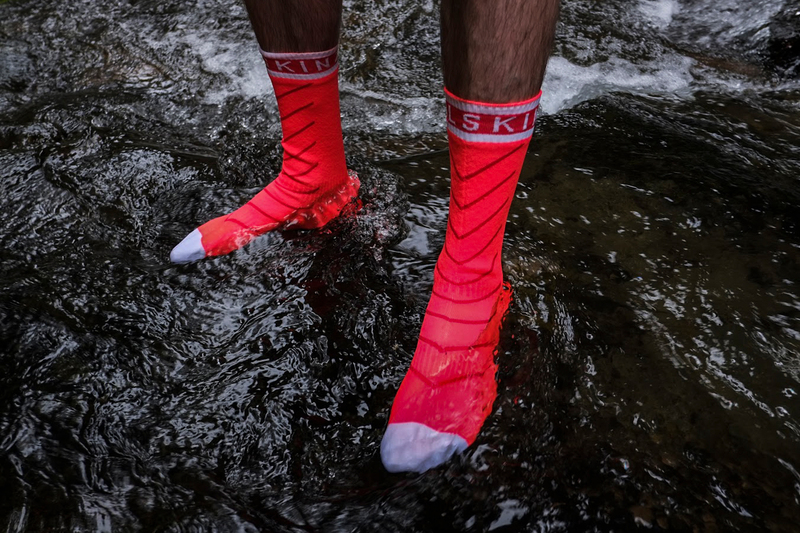 The Sealskinz Super Thin Pro Mid Sock with Hydrostop is a waterproof, breathable, comfortable sock that protects feet and blows minds. This simple product will totally transform your footwear, adding water-worthy wading to airy trail runners and storm-shedding comfort to your cycling kicks. I was initially skeptical these socks would live up to their waterproof promise – they seem constructed of a somewhat sturdy yet thin nylon material, not too different than a typical wicking fabric. Yet there I was standing for several minutes in a fast-flowing stream of Mount Hood snowmelt, my feet perfectly dry. As an avid backpacker, my strategy for wet feet mostly centers on acceptance. To many backpackers, it’s simply not worth it to wear a heavy, waterproof boot on trips where rain and snow come and go. But imagine swapping to these waterproof socks when you hit the snow line on a pass? Or perhaps on a bike tour down the Pacific Coast Highway, when the rain clouds blow in off the ocean? Or maybe before a rainy trail run? These things seriously work, topped off with a grippy “Hydrostop” band at the top to keep out the splash. You’d think that all this waterproofing comes at the expense of breathability. 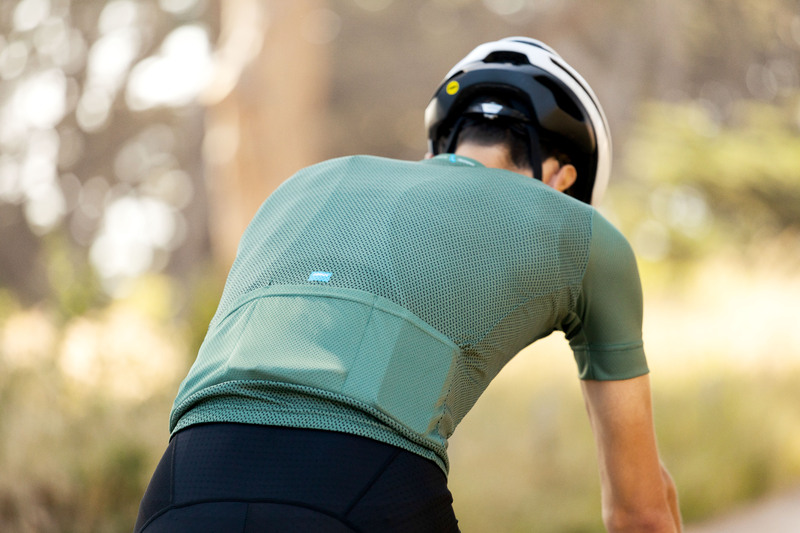 To test this, I wore the Super Thin Pro during my typical seven-mile bike commute on a sunny, 70-degree day. 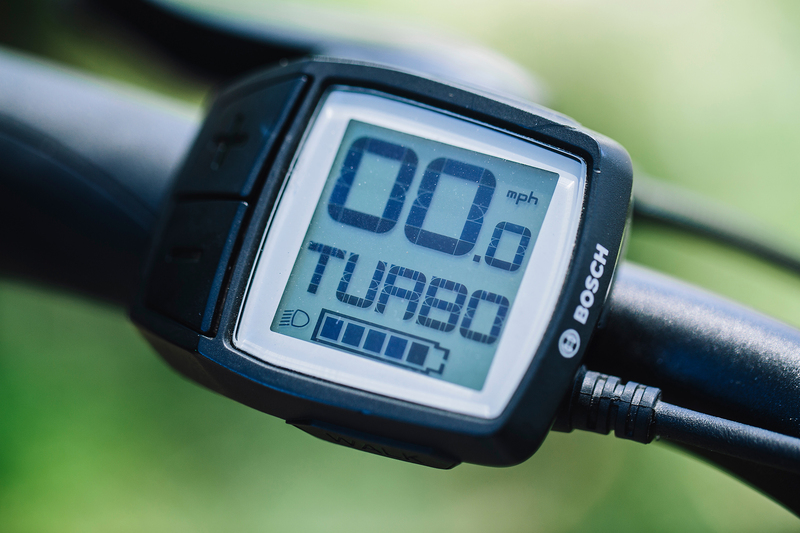 There was a bit of moisture by the time I’d hop off the bike, but it’s hard to say if it was any more than usual – and certainly less than you’d expect. Sealskinz provides a “thermal rating” for its products, and places the Super Thin Pro, which is also windproof, smack dab in the middle. The Super Thin Pro feels a bit bulky in the toe box, but that mostly disappears once inside of a shoe. The socks are also heavier than the wicking wool I’d usually wear on a hike – way less, though, than a waterproof ​boot. I can’t speak for the long-term durability, but they seem like they can take a pounding. And with a name like “super thin,” they do indeed slip easily into svelte cycling shoes and whatever else you’re running. So who’s the target audience of this product? The backpacker or bike tourist who wants dry feet amid changing conditions, or someone who wants to stretch the utility of their warm-weather footwear. If you can imagine a scenario where these would come in handy, just know – they work. Posted on Tuesday, April 3rd, 2018 at 3:06 pm. Posted on Monday, March 12th, 2018 at 9:53 am. I take my rubber seriously. And in this case, I am talking about the rubber I ride. On my bike. Since I converted to tubeless, I honestly haven’t looked back. I’ve also found myself paying much more attention to the tire market. Tubeless appears to be slowly gaining ground, but the choices are still limited. 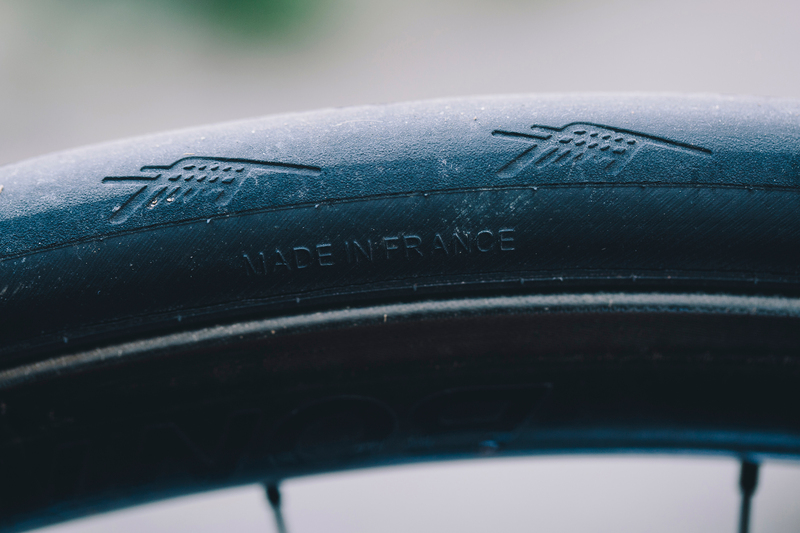 A quick search on Competitive Cyclist yields 18 tubeless tires in comparison to 34 clinchers. Thus I get excited whenever I see a new offering. Although Zipp is best known for their highend carbon hoops and sweet looking cockpit bits, they also make tires. 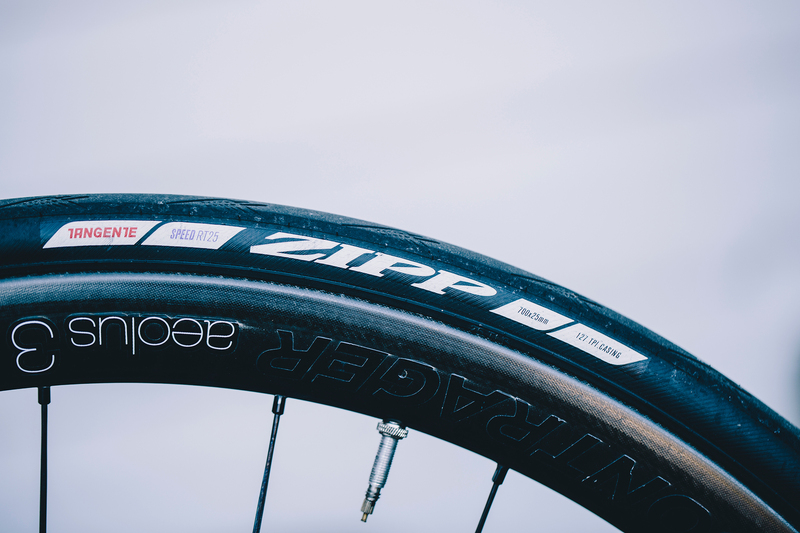 The Zipp rubber might be a bit underrated and far less prominent than the wheels, we think they are still pretty darn good and they have a small, but loyal following. Personally, I’ve settled on the Schwalbe Pro One for the past year or so and I honestly think the Schwalbe guys are onto something good. In fact, I love ’em so much I bought myself four pairs and they now sit next to my seldomly-used collection of tubular tires. With that said, the search for the tubeless holy grail never ends, which brings us to the Tangente RT25. The Tangente RT25 was one of the easiest tubeless tires I’ve ever installed. I guess Zipp really means it when they say “No tire levers needed or recommended for installation.” It slid onto my Bontrager Aeolus 3 TLR D3 carbon clincher so effortlessly I was worried that I was going to spend some quality (read: way too much) time trying to seat a loose fitting tire. Not so. Not only did it not need sealant to help seat the tire, it popped right into the rim bed on the first try as if it had a tube in it. Zipp does recommend adding some sealant against puncture, though. So I just deflated it, injected some sealant, and inflated. I really liked the zero-mess and zero-fuss installation. On the road, the RT25 were impressive. I’ve been running mine at around 90PSI for the past two months and they were buttery smooth and lively. The 127TPI nylon casing was supple while the 60 shore A tire compound was both grippy and durable. Granted, the RT25 is a racing tire where tire wear takes second place behind performance but the RT25 has shown little wear, even for those not particularly deep water-siping patterns on the side that I was initially skeptical about. I haven’t had a flat yet, but there’s a Polymide layer beneath the rubber should those occasions arise. Overall, it’s hard to find any fault with the RT25. It’s fast, grippy, and durable. There are definitely lighter tubeless road tires on the market, but the durability and exceptional all-around performance of the RT25 is well worth the few extra grams. The RT25 reminded me of the crowd-favorite Continental Grand Prix 400 S II clincher in many ways. The Tangente RT25 is a tire that won’t let you down and it’s possible I just found my new favorite tubeless road tire.